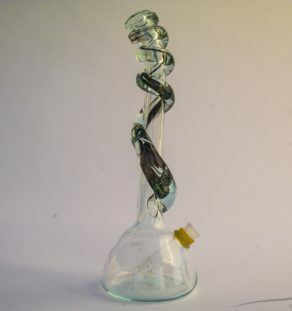 A beautiful new piece from HVY Glass. 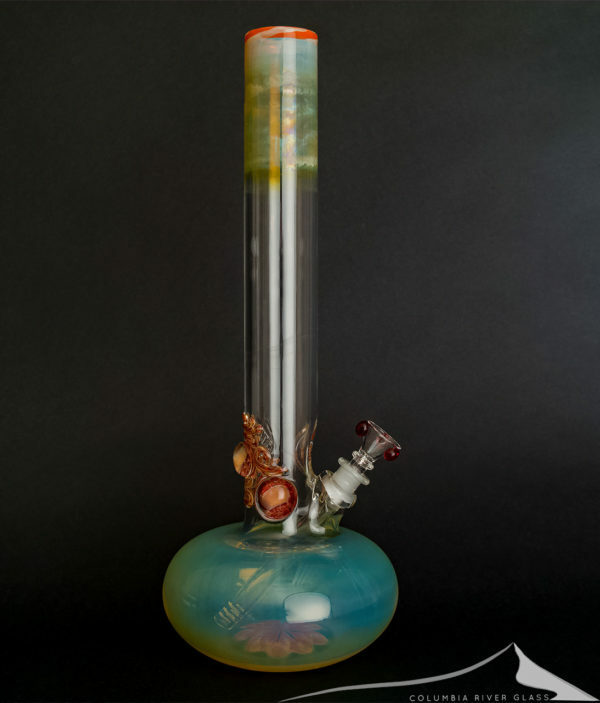 A large round bottom or gourd bong with heady boro drawing and fuming that really sets it off, also some red implosion marbles that look fantastic. 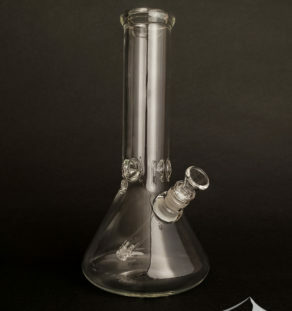 At 17 inches tall this is a truly large bong, and with a huge water reservoir it will function like a large piece should. There’s a slight indent for ice at the base of the neck so you can stack ice up the neck for the ultimate in cooling and filtration. 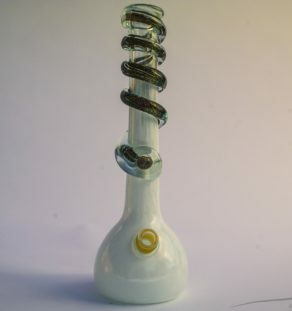 The mouthpiece has an orange and white lip with heavy fuming, and there’s an orange and white boro flower on the bottom of the base too. 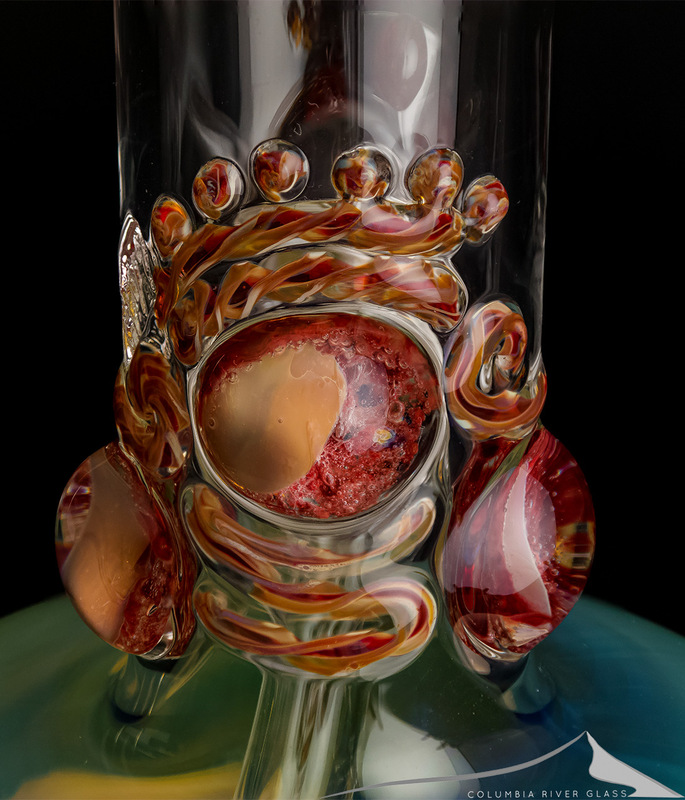 The three marbles have a red ‘space’ heady look with the implosion, and they are highlighted by red and brown retti lace. 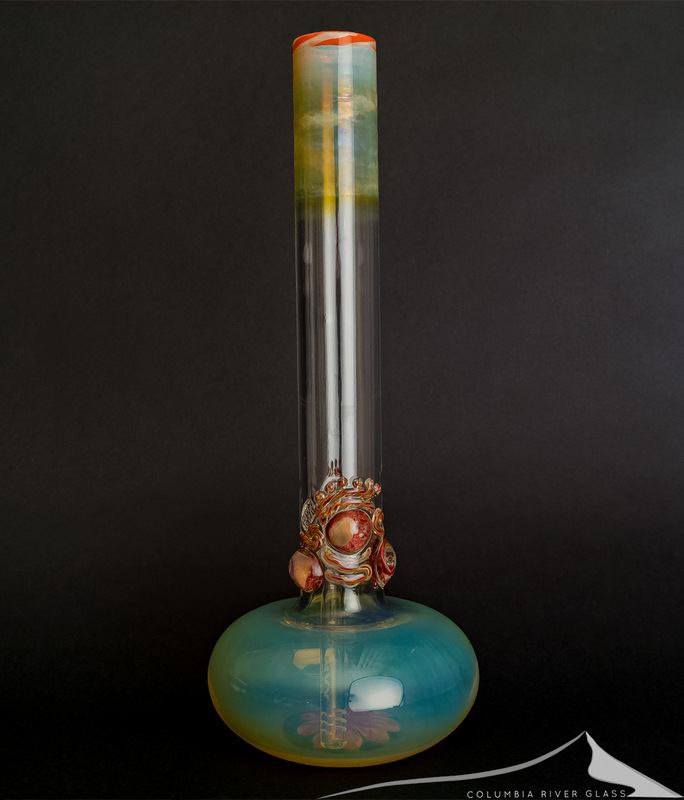 The large base is heavily fumed with silver and gold giving beautiful reflective and opalescent colors. The oversized flower bowl with red highlights is included. Beautiful work from HVY Glass!